REDMOND, Wash. — Jan. 22, 2013 — Microsoft Corp. today announced that itsSurface family of PCs is growing. Its newest model — Surface Windows 8 Pro — will be available for purchase on Feb. 9, 2013, in the United States and Canada at all Microsoft retail stores, microsoftstore.com, Staples and Best Buy in the U.S., as well as from a number of locations in Canada. Powered by an Intel Core i5 processor, Surface Windows 8 Pro provides the power and performance of a laptop in a tablet package. Perfect as your one device — at home, in the office, or on the road — it can run Windows 8 applications, as well as current Windows 7 desktop applications. 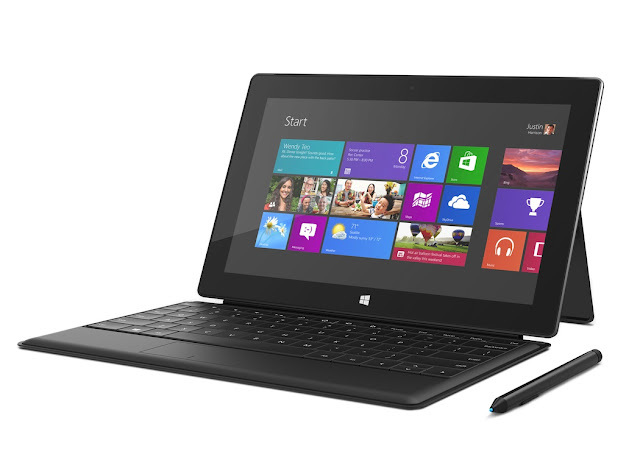 Starting at an estimated retail price of US$899, Surface Windows 8 Pro will be available in 64GB and 128GB models. A Surface pen with Palm Block technology, designed specifically to work with Surface to let customers edit, collaborate and get things done, is included with Surface Windows 8 Pro. Surface Windows RT will be available in a new 64GB standalone version for an estimated retail price of US$599 to allow customers the option of selecting a Cover of their choice. Three new Touch Cover Limited Editions in red, magenta and cyan will be sold at an estimated retail price of US$129.99. Customers will have the option of purchasing a Wedge Touch Mouse, Surface Edition, for an estimated retail price of US$69.95 in all markets in which Surface is currently sold with additional markets to follow in the coming weeks. System software uses significant storage space; your storage capacity will be less. See surface.com/spec. 1 GB = 1 billion bytes.